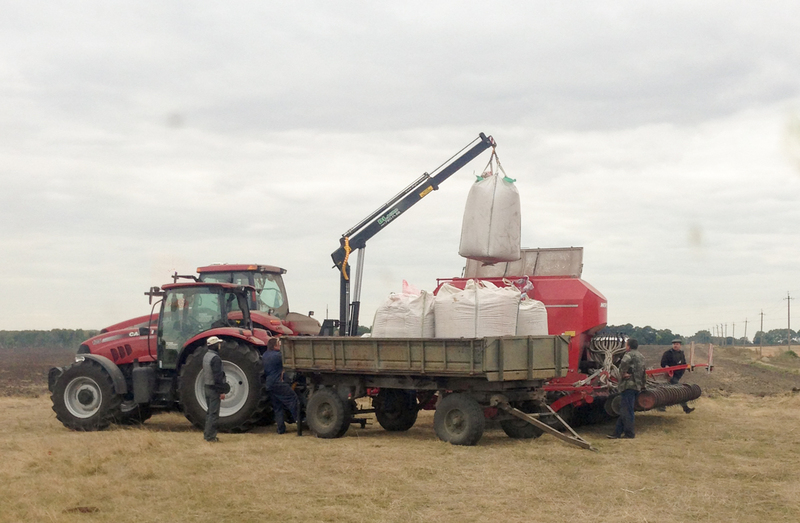 The DLight company offers grapple of its own production for weighed portion on the tractor. This grapple is designed to operate primarily in the agricultural enterprises: both small and large. 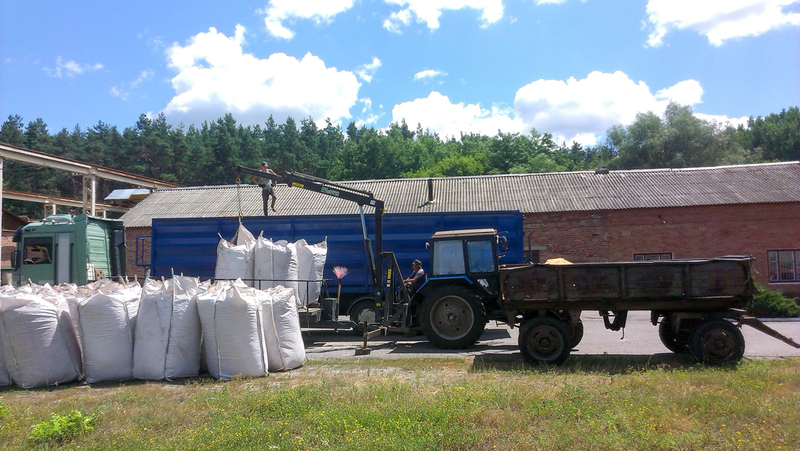 With its help, it is possible to perform unloading and loading operations of fertilizers, seed materials, grain crops and other crops in bags of Big Bag type, and within repair and construction activities to transfer bulk construction materials also in bags of Big Bag type. 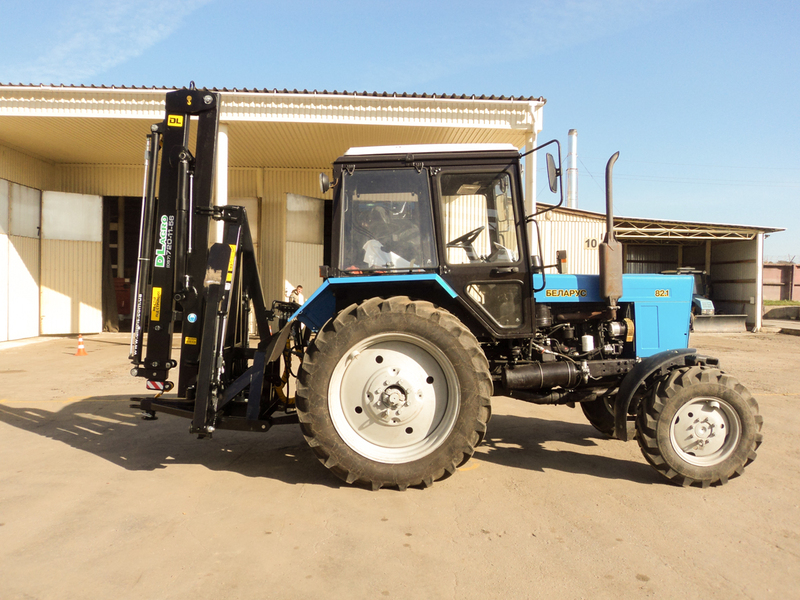 The loader crane can work only in coupling with the tractor trailer. 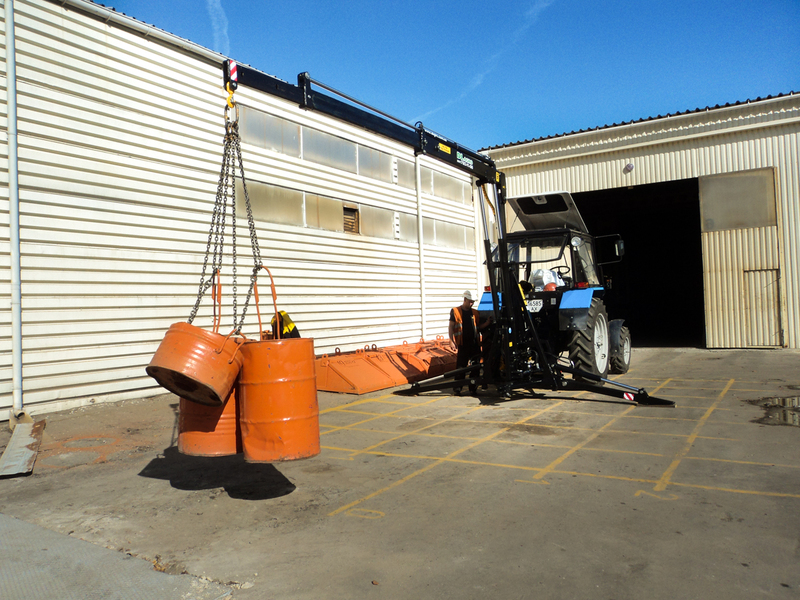 Also, this grapple can be used in repair work with machinery and equipment for agricultural purposes. Competitive price – analogues with similar technical characteristics and quality level are much more expensive! The boom maneuverability, accuracy in the movement of goods. 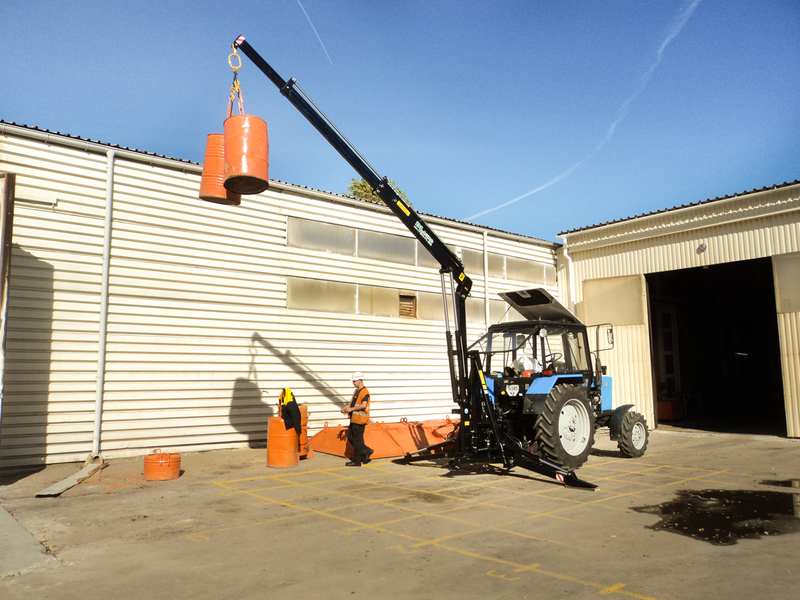 The ability to quickly attach the tractor to the load carrier of the grapple. 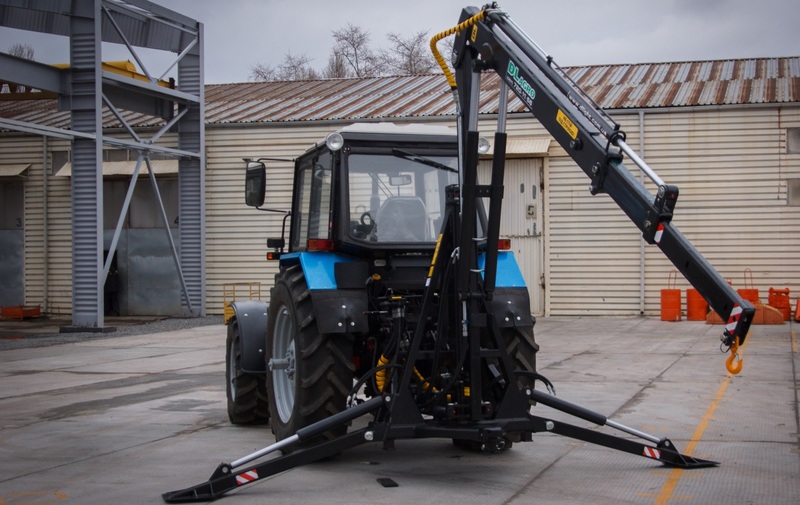 The loader crane is designed for mounting to tractors of domestic manufacturers – KhTZ, Yuzhmash, MTZ, but it is possible to attach to the similar imported models. 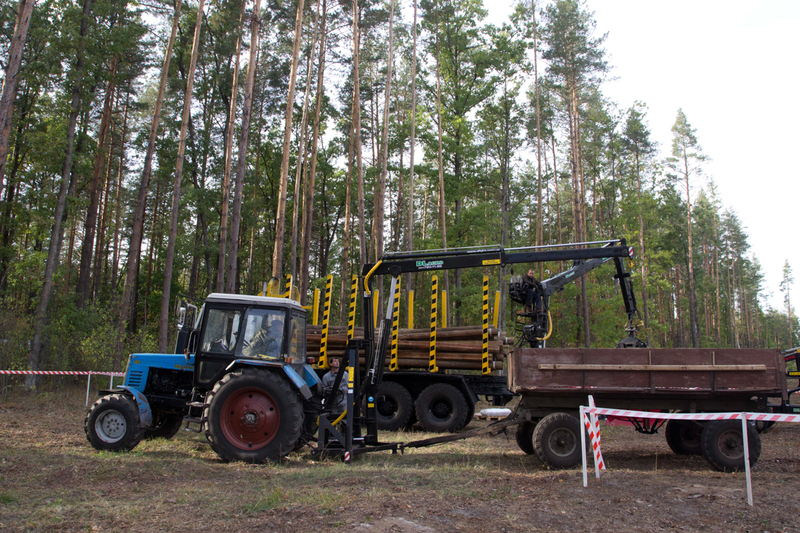 Connection is due to the standard hydraulic system, which is equipped with a tractor. It is not required to additionally register this mechanism in the technical inspection authorities. 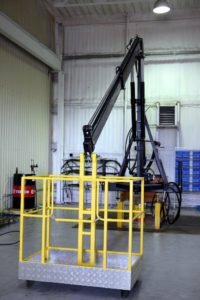 A brief video tutorial on working with a tractor loader crane. 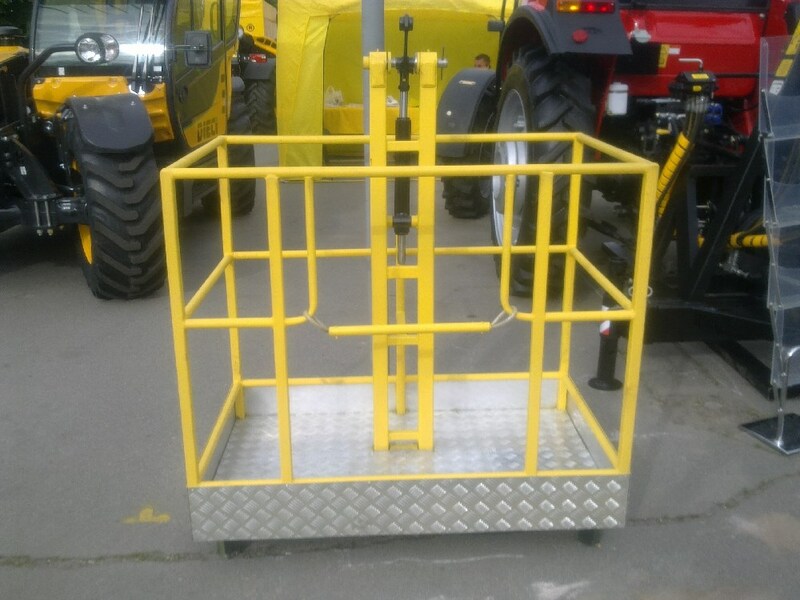 The additional hinged attachment to the DL Agro grapple includes an upgraded load-lifting basket (ULLB). It can be used in all cases when it is necessary to lift one person or a certain load demanding protection by bumpers. It is possible to carry out garden works with its help, for example, tree pruning, it is possible to perform facade or electrical work. The basket installation is performed with the pin available in the configuration of this device. The basket is equipped with a cylinder – vibration damper, as well as manual mechanical fixation. You can quickly attach it to the crane, and the mount is very reliable! 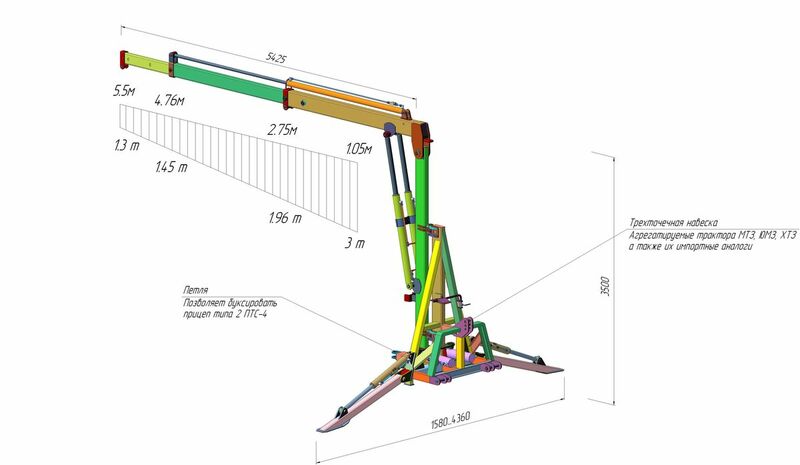 constant spare parts and components availability for this model of crane.